Obituary – Dolezal, Irene E. « Perry High School Alumni Association, Inc.
Obituary – Dolezal, Irene E.
﻿S. F.; Triangle Club; Peroma Staff; Senior Play ’24; Junior Play ’23; Faculty Burlesque ’23. ﻿Funeral will be at 2 p.m. Friday at the First Presbyterian church for Irene E. Dolezal, 89, who died at 8:25 a.m. Tuesday, March 12, 1996, at Perry Green Valley Nursing home. Rev. Jim Murray, interim pastor, will officiate. Burial will be in Grace Hill cemetery under direction of Brown Funeral home. Memorials maybe made to the First Presbyterian church or the American Lung association. 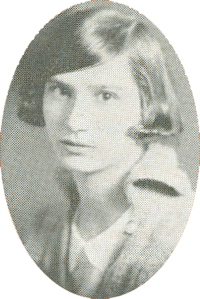 Born Oct. 1, 1906, at Perry, Miss Dolezal was the daughter of Joseph E. and Mary J. (Kasl) Dolezal. She was a graduate of Perry high school and Draughon Business College in Oklahoma City. 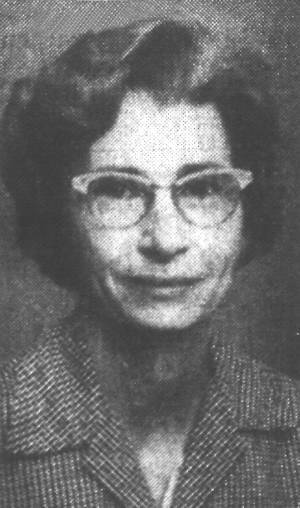 Miss Dolezal had been a deputy county treasurer and later worked as a teller at Exchange Bank in Perry until she retired in about 1972. She was a member of the First Presbyterian church, was a past officer of the Business and Professional Women of Perry and had been active in the Noble County Republican Women’s club. Survivors include one brother, George W. Dolezal, Perry; a sister-in-law, Lydia Dolezal, Perry; and 12 nieces and nephews, George Dolezal Jr., Denver, CO, Dorothy Childress, Stillwater, Jack A. Dolezal and James R. Dolezal, both of Perry, Robert S. Dolezal, Jacksonville, TX, Carol Hilliard, St. Louis, MO, George F. “Rick” Kingelin, Rosenburg, TX, Mary Katherine Kingelin, Houston, TX, Richard Dolezal, Longview, TX, Don Dolezal and Gary Dolezal, both of Dallas, TX, and Jo Ellyn Livesay, Oklahoma City. Miss Dolezal was preceded in death by her parents, five brothers, and one sister.